Mission critical logistics has a greater importance in business now than ever before. In the past, businesses considered expedited shipping as the last resort, reserved only for the most urgent shipments. The perception of this method as a high-cost, luxury service still persists in some circles. But the breakneck pace of the modern global economy has rendered this perception inaccurate. Mission critical logistics is the new normal in business today – small and large businesses rely on it for regular shipments to distributors and warehouses and develop strategies that utilize it fully. Recognizing and valuing the importance of mission critical logistics can make all the difference for your business. 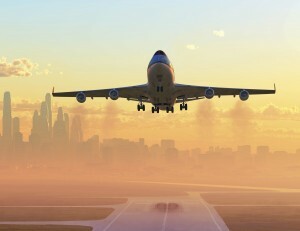 When you think of mission critical logistics, you might be thinking of air freight shipping. It is true that, more often than not, expedited air shipping will take the least amount of time in getting to its intended destination. And for emergency situations, a Next Flight Out (NFO) will be the only option available. However, your situation may be more flexible and ground shipping may make more sense. Express driving, two driver teams, and same-day direct drive services are all available to get your time critical shipment to its destination when it needs to arrive. Furthermore, our expedited shipments are monitored from start to end in order to ensure a fully seamless experience. For companies that need tight control over their products, communication can be customized to your specific needs, rather than being held up by an automated system. For the highest-quality logistics handling experience that will be customized to the unique needs of your business, AFP Global Logistics is the best and only choice! We offer a comprehensive range of shipping services, and our 25 years of experience in the business have given us the tools we need to create personalized logistic solutions for each and every individual customer. For more information or to start designing your own logistic solutions today, get in touch with AFP Global Logistics at 410.590.1234 (toll-free 800.274.1237), email us at info@afplus.com, or fill out our quick and easy contact form here! You can stay up to date with the latest from AFP Global Logistics on Facebook, Twitter, Google+, LinkedIn, and Pinterest! This entry was posted on Friday, January 13th, 2017	at 9:12 am	and is filed under Business Basics, Domestic Shipping, Shipping Methods	. You can follow any responses to this entry through the RSS 2.0	feed. Both comments and pings are currently closed. AFP Global Logistics is a specialized logistics provider that supplies customized, personal logistics services to the Mid-Atlantic region and around the world. From Maryland to Las Vegas, our services are designed to save our clients time and money � and alleviate their stress. For more than two decades, we�ve helped clients ship products across the country and around the world. We�re familiar with the logistics industry, and recognize the time constraints involved with shipping important cargo. Whether your logistics needs to travel by land, sea, air or rail, AFP is ready to provide expert service. We�ll book your freight and make sure it reaches the final destination when we say it will. Ship your products with the confidence that comes from dealing with a total logistics solution provider who cares about your logistics as much as we care about you. To find out more about AFP, give us a call at 410-590-1234 or visit our website at www.afplus.com!